In fact, deck area throughout the accommodations is always adequate or better, and no obvious compromises appear to have been forced on the design team. 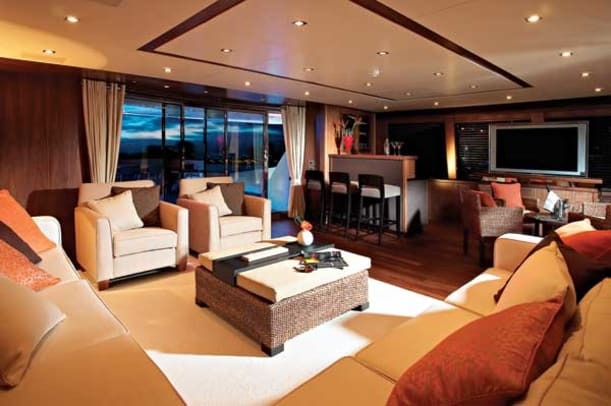 The main-deck saloon is a rational, light, and well-ordered space with squared-off sofas and chairs facing each other, a bar at the cockpit door, and the dining table amidships, close to the galley. This is just one of the tables onboard that can seat 12—there is another upstairs on the aft deck, partly shaded by the flying-bridge overhang, with its attendant lounge and bar. The cockpit, meanwhile, has seating for up to nine and a pair of coffee tables. 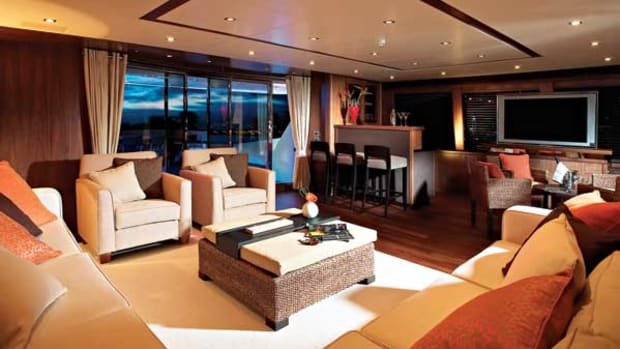 It is thanks largely to that dominating, split-level owner&apos;s suite that the 37M has a world-beating interior. 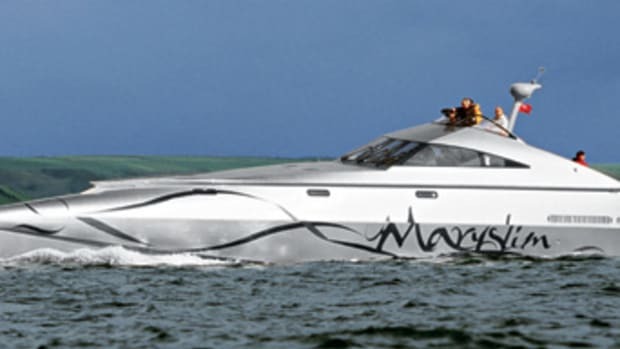 But for a marque as deeply rooted in offshore performance culture as Sunseeker, it was never going to be enough just to build a big, pointy yacht with plenty of internal volume. She had to perform as well. The hull shape is a typically Sunseeker deep-V, with a 20-degree deadrise at the transom and flat-top propeller tunnels to keep the shaft angle to a minimal 10 degrees. But there, in naval architecture terms at least, the family resemblances cease. 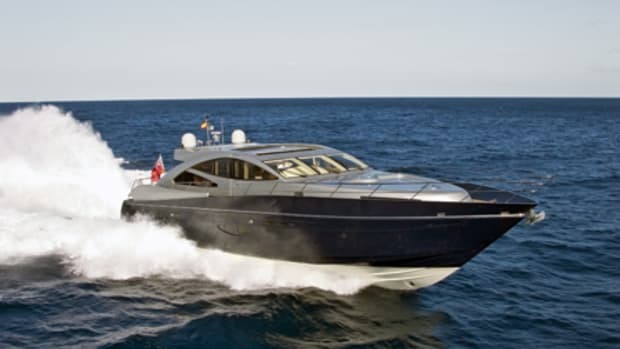 A yacht as large and heavy as this, with close to 1,000 hp between the smallest power option and the largest—there are three MTU engine options, from twin 2,335-hp V-12s to the 2,812-hp motors installed in this first boat—had to be designed for comfort and efficiency at speeds ranging from 12 knots for passagemaking all the way up to the high 20s. 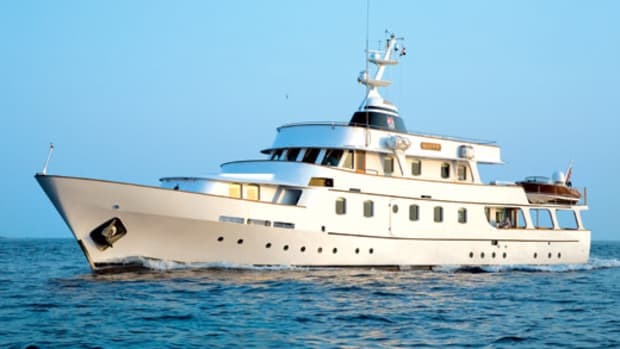 So as well as building in plenty of lift along the full length of the planing surfaces (deadrise amidships is a shade more than 20 degrees, and at the forefoot it&apos;s just 30), key to the plan was putting the center of gravity far enough forward to eliminate any planing "hump" as the yacht gathered speed. The result, according to Ewen Foster of the Don Shead design office at Sunseeker, is "a nonplaning, hard-chine, planing hull. It just rises up and goes as speed increases. It&apos;s more efficient and rolls less than a round-bilge hull, and it banks into turns—which is what people expect of a Sunseeker!" Apart from Foster, who confesses to being "never satisfied," the design and build teams are delighted with the performance of the 37M. During the 500-mile round-trip from the shipyard to the London Boat Show, the trials team recorded a best two-way average of more than 27 knots. "We knew from the outset that this was never going to be a 30-knot boat," adds Foster. He explains that so far over the model lifetime of the Sunseeker 105, the company has seen how much extra weight goes into a boat that has to satisfy various new classification society rules for charter. There also seems to be more demand for increased fuel capacity and greater range. 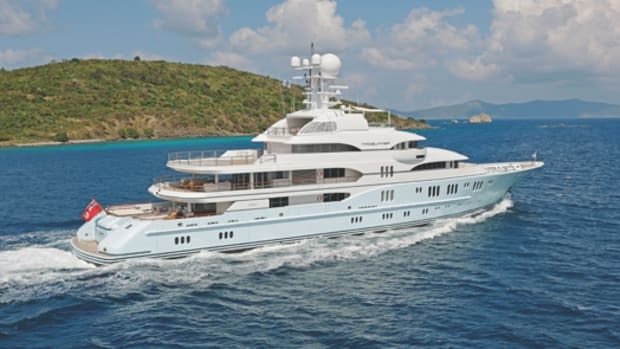 So with the 37M designed to fulfill both RINA and MCA requirements for large charter yachts, and with a bunker capacity of some 20 tons, her design displacement was calculated at 180 tons at half load—about double that of the 105. The initial estimate of top speed was around 24 knots with the largest engine option—a figure that everyone involved is now delighted to acknowledge as rather conservative. And while these 4000 Series MTUs are the largest engines that the machinery space has been designed to accommodate, the hull has been designed to cope with the extra power and speed of any future performance upgrade without modification. 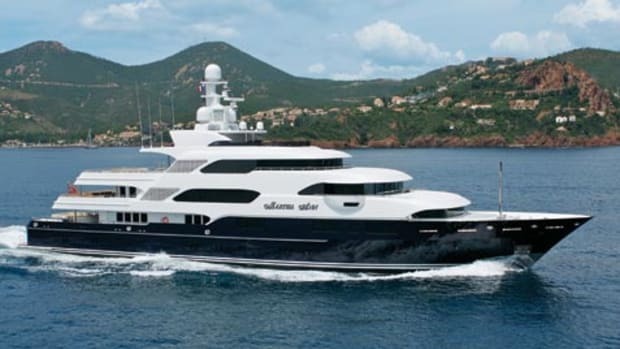 The first 37M was sold off the drawing board—to Formula One team owner Eddie Jordan, who was also the launch customer of the 105—and the next two are already under construction. 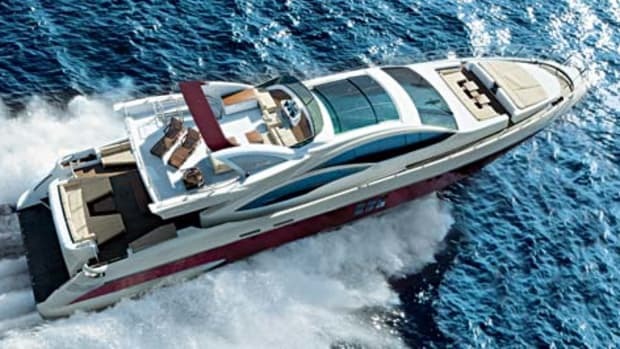 Build time is 40 weeks, and Sunseeker claims to have orders for three more. The yard already seems to be looking further ahead. There&apos;s talk of a 112-foot (34-meter), two-decker—but for that you might have to wait a little. So far it&apos;s just a rumor. 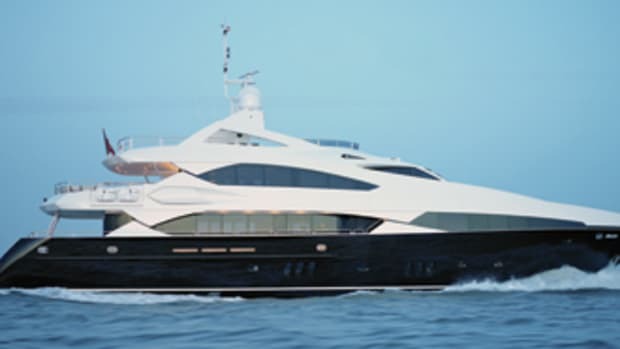 For more information on Sunseeker, including contact information, click here. Fuel Capacity: 6,130 gal., plus optional 1,532 gal.